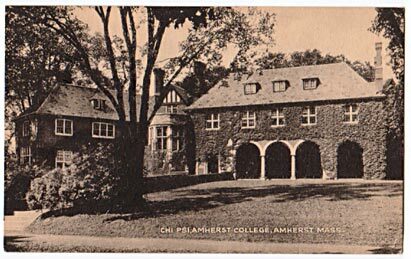 The Alpha Chi Chapter of Chi Psi was chartered at Amherst in 1864. 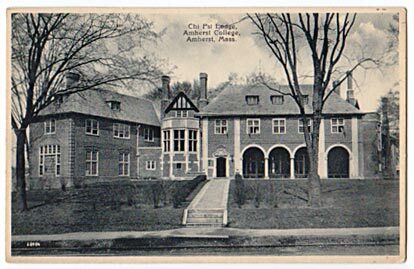 This house, the fraternity's second, was designed by Stephenson & Wheeler and built in 1923 at the corner of South Pleasant and the Northampton Road, what is today the corner of Routes 9 and 116 (King, 157). It is now known as Mayo-Smith.